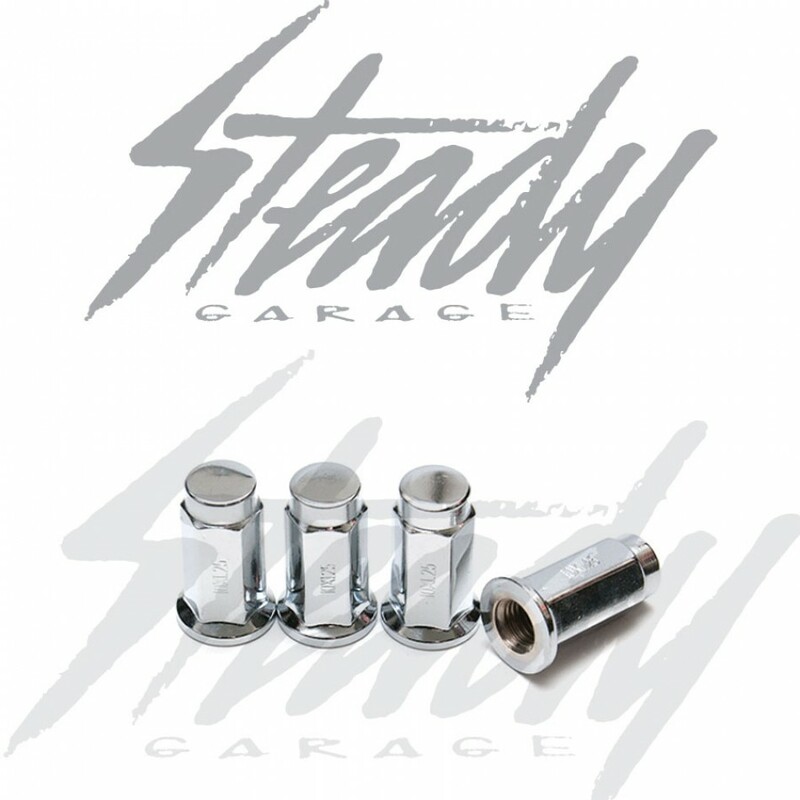 Chrome M10x1.25 flat base lug nuts. Dress up your custom Honda Ruckus, custom Honda Metropolitan, and other custom scooter with these lugs nuts! Sold in a pack of 4! Using the right size lug nut is important for safety, these flat lug nut base will secure your DWT, Douglas, or other flat face rims onto the wheel hub.